The brain is the most important organ in the body. It is the hub of the nervous system and controls all the body’s functions. But sometimes there are problems with the brain. For example, with our aging population the incidence of brain disorders such as Alzheimer’s disease are predicted to reach epidemic proportions. But decline in cognition with age is not inevitable. Find out how to know when it’s serious. Sometimes brains are injured by head trauma and cause long term effects. We hear about this with football players and others who have been exposed to concussion. You’ll also learn why we need to sleep and about disorders like sleep apnea that may be preventing you from getting the rest you need. Explore other fascinating functions of the human brain, such as how we acquire language and what happens to brain networks to cause aphasia and dyslexia. 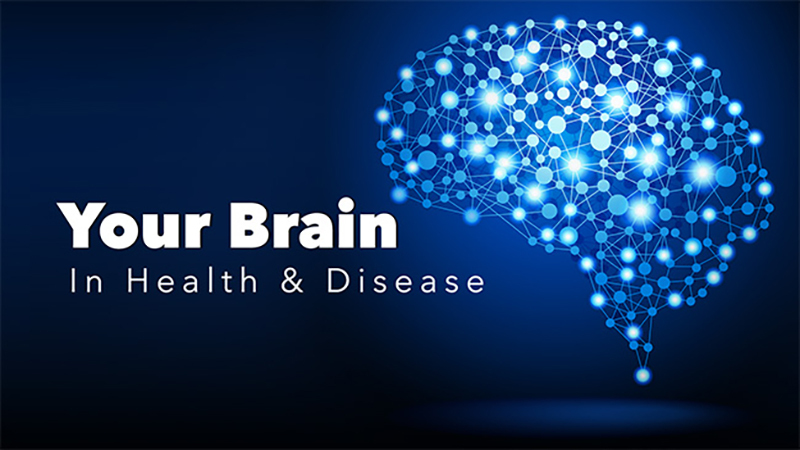 Prevention, recognition, treatment and even potential cures are presented by experts from the UCSF Memory and Aging Center, one of the world’s leading centers in the care and research of neurodegenerative disorders. UC San Diego physicians and researchers are hard at work uncovering the symptoms, secrets, and progression of movement disorders such as Parkinson’s disease. 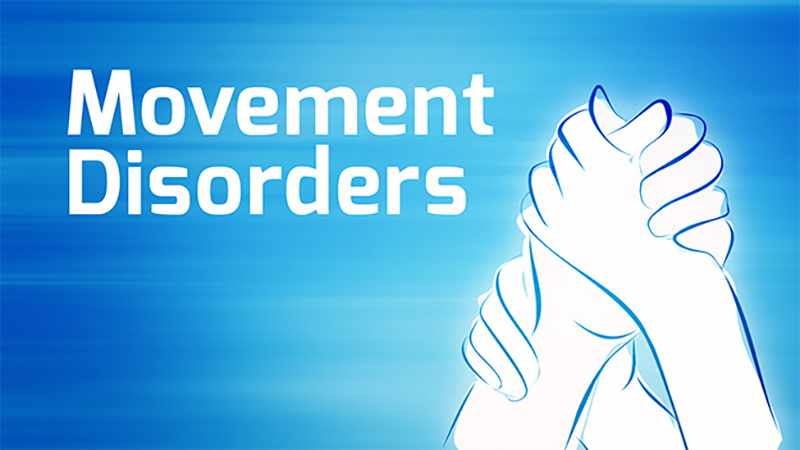 William Mobley, MD, PhD sits down with those on the front lines to find out what we currently know, where research is trending, and what potential therapies are on the horizon in The Brain Channel’s newest series, Movement Disorders. In Parkinson’s Disease: New Developments and Therapies, Irene Litvan, MD joins Mobley to discuss the latest advances in PD research. Learn about the progression of the disease, early warning signs, and promising new therapies currently in development for the approximately 1 million Americans currently living with the disease. In Progressive Supranuclear Palsy (PSP), Dr. Litvan talks about the signs and symptoms of PSP, disease progression, genetic issues, as well as potential treatments. PSP is a condition that affects the brain with symptoms that worsen over time. Don’t miss these and other programs on The Brain Channel. Seeing numbers as colors. Feeling the pain from a phantom limb. Sensing shadowy figures around your bed. V.S. Ramachandran, PhD studies these seeming anomalies of the mind to discover the bigger questions about how our brains function. Dive in to a fascinating conversation as he joins William Mobley, MD, PhD to discuss his fascinating career and his scientific process. Watch The Mind and Methods of V.S. 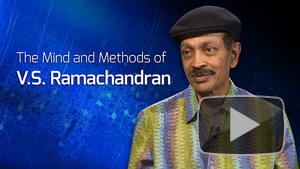 Ramachandran on The Brain Channel. What insights can new imaging techniques give us not only to the biology of the disease but the efficacy of new therapies? Six in ten people with dementia will wander. Learn how to create a home environment that facilitates safety. Making the residential care decision can feel overwhleming. Learn how residential care has changed and the impact of care with dignity. 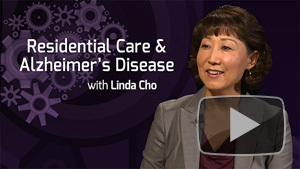 The Brain Channel’s flagship series On Our Mind takes a closer look at Alzheimer’s disease. Join Dr. William Mobley as he meets with those on the front lines of this disease to discuss current and potential therapies, testing, clinical trials, neuropathology, public policy and so much more. 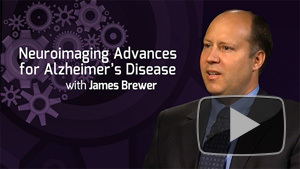 Watch all of the Alzheimer’s Disease programs. How can we create more effective drugs for Alzheimer’s disease? 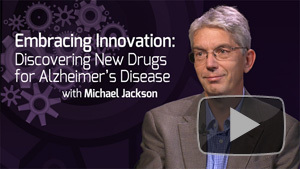 Michael Jackson, PhD joins William Mobley, MD, PhD to discuss the process of turning an idea into a drug. Creating connectivity between basic scientists, pharmaceutical companies, and the physicians on the front lines is a critical step as is embracing new ideas that may lead us to new therapeutic options. The biomarkers for many diseases can be found through blood tests, can Alzheimer’s disease eventually be diagnosed this way? 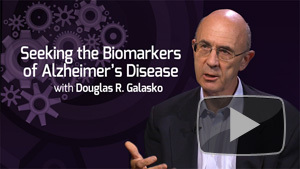 Douglas R. Galasko, MD joins William Mobley, MD, PhD to discuss the search for these biomarkers and how they might one day lead to earlier and more accurate diagnoses of the disease, improved therapies, clear maps of progression, and much more.